Illuminated Bathroom Mirrors add a touch of class to any bathroom, regardless of whether or not it’s a traditional or modern bathroom. As well as brightening a bathroom, these mirrors are absolutely perfect for pimple popping, shaving, applying makeup and getting ready in, the lighting allows you to achieve the perfect look. All of our mirrors have been handpicked from the world’s leading bathroom designers and manufacturers. You can expect to see BC Designs, Kartell, Phoenix and Roper Rhodes represented here. All of these mirrors have been handpicked because they represent excellent value, style, design and quality. If you have any questions about any of these products, please do get in touch and we will be more than happy to answer any questions you may have. Bathroom Mirrors are an essential part of a bathroom. As well as playing a pretty important role in making sure you look presentable for the day ahead, they also add an importantly styling element into both traditional and contemporary bathrooms, whilst adding to sense of light and space in a bathroom. 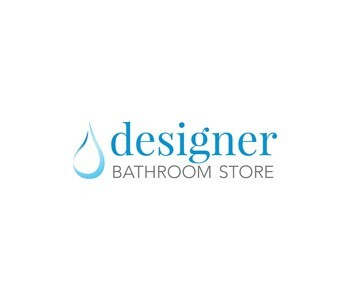 At Designer Bathroom Store, we have sourced a fantastic range of Bathroom Mirrors, which we supply exclusively online. These mirrors are available in both contemporary and traditional designs, and vary in colour, size and finish. They have all been handpicked from the world’s leading mirror designers and manufacturers, and this collection proudly represents trusted suppliers of ours including BC Designs and Roper Rhodes. If you have any questions about these mirrors, or cannot see the right mirror for your home – please just get in touch and we will be happy to help. At Designer Bathroom Store, we are proud to have sourced a fantastic range of Bathroom Mirrors. We have over 170 mirrors in stock at any one time, and all have been handpicked by our expert buying teams. They have been chosen because of their excellent design, cool features as well as their reliability and performance – these mirrors are built to provide years and years of service. These models have been chosen from our most trusted suppliers, including BC Designs, Kartell, Phoenix, RAK and Roper Rhodes. A number of finishes are available, with some of the most popular being aluminium, gloss white and grey. These mirrors are available as Mirror Cabinets, Illuminated Bathroom Mirrors as well as Standard Bathroom Mirrors. Although contemporary and modern in design, the sleek look of these mirrors look fantastic in contemporary bathrooms, however they also look more than at home in more traditional bathrooms. As always, if you have any questions about this range, please do just get in touch and we will be more than happy to help.